I Live In A Fictional World: Double Tuesday Review Day! So happy to finally be on board with the Iron Fey, I read The Iron Daughter and The Iron Queen back to back - which is a big deal for me these days that I even have the time to read one book, let alone two! However, with SIX WEEKS of winter break I plan to spend it doing fun things with my daughter and reading once she's all worn out and fast asleep! 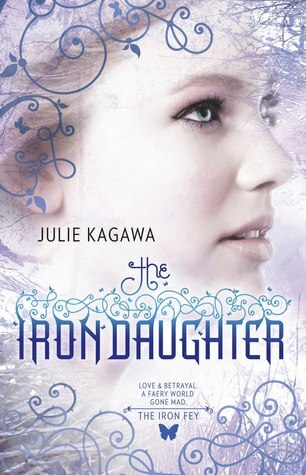 My Review: In the Iron Daughter, the love triangle between Meghan, Puck and Ash really comes to a head in this sequel. So many things come to light as we learn more and more about the Iron Fey and who among the Winter Court are their allies. There are countless twists and turns constantly throwing you in a different direction just when you think you're beginning to put things together. Meghan is a prisoner of the Winter Court and Mab has sealed off her powers. Meghan spends what she considers to be more than enough time in this frozen palace among the Winter fey, foul and murderous creatures. All but her Winter Prince, Ash - who is nowhere to be found. Upon return to the Winter Court he disappears and Meghan is unsure of his departure; did he leave because of her or was he sent away? 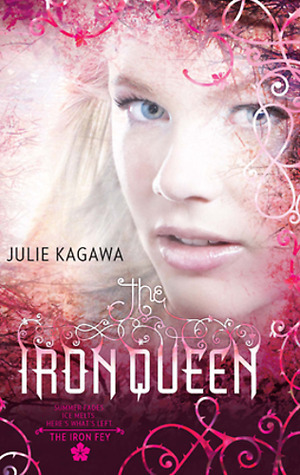 During a celebration of the exchange of the scepter from the Summer Court to Winter marking the change of the seasons, the Iron Fey attack and kill an important member of the royal winter family and Meghan is (again) the only eyewitness. 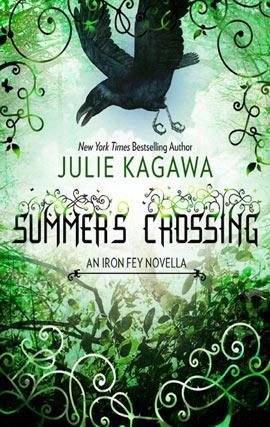 The only problem is that no one believes her about the Iron Fey, especially Mab. 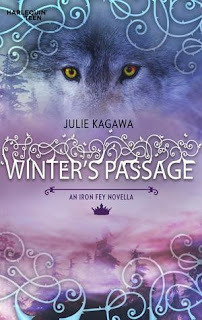 After miraculously making it out of the Winter Court alive - and with her Ice Prince in tow - they are joined by Puck in one of those grand entrances he loves to make so much. And of course the return of Grimalkin - my favorite character of all. Now this is the point where I start to mix the stories up, remembering which events took place in which book. So to avoid blurting all the juicy parts out, I'll try to keep it vague. 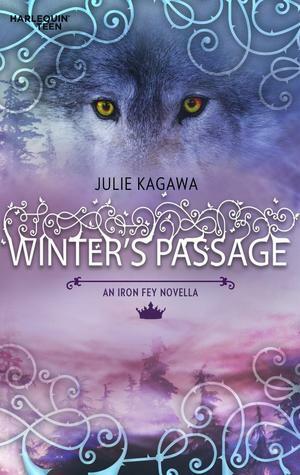 A traitor is discovered in the Winter Court, one that Ash will feel conflicted about facing. And while Winter faeries begin to take sides with the Iron fey, there are those in the Iron realm that are taking sides with those that are supposed to be their enemies; the enemy of my enemy is my friend, and all that. We venture into plenty of new territory, always exploring the endless borders of the Nevernever and everywhere in between where Meghan finds someone she didn't even know she was looking for. 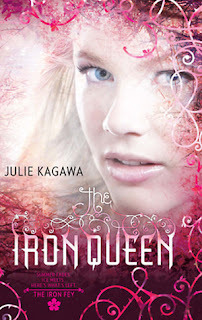 Now moving more into the Iron Queen, Meghan learns to defend herself, to be part of the battle instead of playing the role of bench-warmer any time there's trouble. There is that tricky part of having two kinds of glamour at her disposal, ones that cancel each other out with most inconvenient side-effects. I have to say, this installment is probably the most riveting, so far. There was so much going on, so many secrets being revealed and the ante on the romance has just been raised! Meghan goes through a lot of internal back and forth with her feelings about Puck and Ash. She has her moments with both of them but she holds a very bright light for only one of them and a special gesture made between them is heart-wrenching. Again, more twists and turns and surprises you probably weren't expecting but never, not once, a disappointment! Overall: LOVE LOVE LOVE! I WANT MORE! CAN'T PUT DOWN AND CAN'T GET ENOUGH! Great fillers between books 1 & 2 and 3 & 4!